Another South South fast rising star by name Mr. 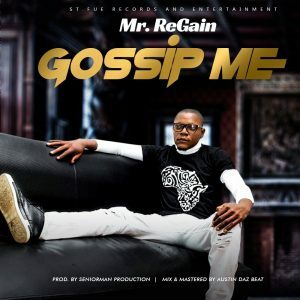 Regain A.K.A Ekaababa just come through with another banging track titled “Gossip Me” this one comes as a follow up to other trending songs like: Suffering, Ghetto Song and Ekaababa which is all to his credit. Produced by seniorman production, mix and mastered by Austin Dazbeat. Download and enjoy Gossip Me.